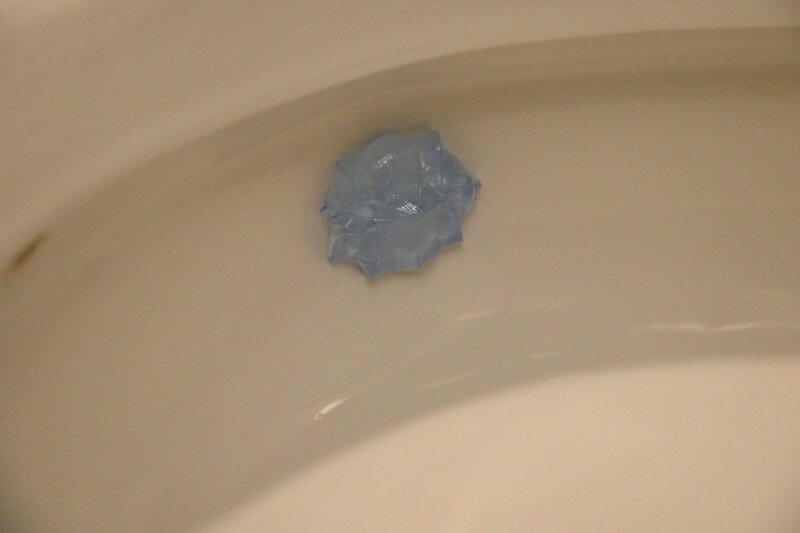 Lady and the Blog → Living → Featured → Lysol Click Gel Automatic Toilet Bowl Cleaner: My Answer To A Clean Bathroom! 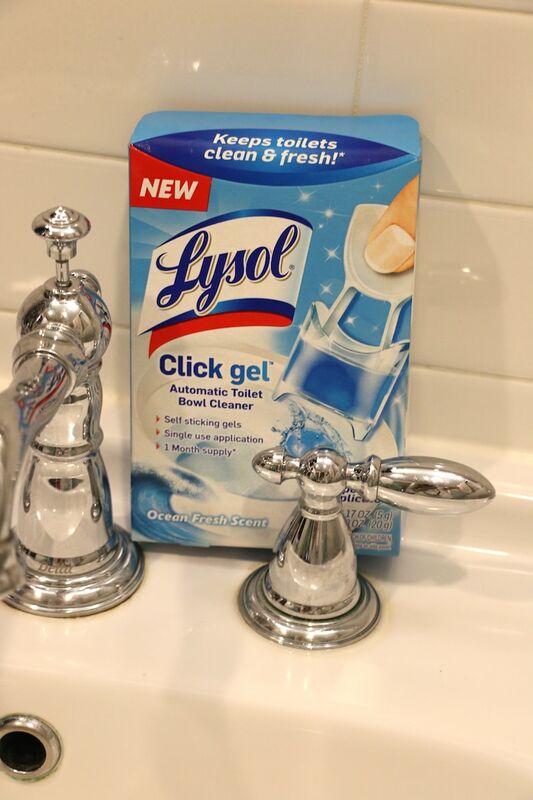 Lysol Click Gel Automatic Toilet Bowl Cleaner: My Answer To A Clean Bathroom! Parents have a lot of checks and balances that they have to get through in order to call it quits by the end of a day. After all, I can tell you from first hand experience that watching over three kids, two dogs and a husband is a lot of effort. But it doesn’t just end there. I also have a full time job – I just happen to do it at home (and on the road thanks to an insane amount of travel that always seems to be scheduled out for me on my calendar). Lysol knows parents work hard to keep their families and homes running smoothly. “Clicks” pretty much power our day – checking that our kids’ water bottles are fully sealed (Click!) to avoid spills or snapping or unlocking the car (Click!) so the kids can pile into for soccer practice. So, for fun, I was asked to list some of my Clicks out and I came up with 15. These are all absolutely typical and I am sure you can relate! Turning on the lights to wake my children up for school because their alarms simply do not work. Setting up a hot cup of coffee for my husband thanks to my trusty Keurig. Flipping through the necessary apps on my iPad to check social media statuses from the day. Snapping close lunch boxes, tupperware containers and water bottles for my kids to get them ready for the bus. Unlocking the car to take my son to his mommy and me class. Taking lots of photos throughout the day – I’m a blogger after all!! Coming home and opening up my cabinets so I can tidy up after the dogs. Working up the energy to start a load of laundry. Setting the timer to remind me to get the clothes out of the dryer. I need 5 reminders. Begin food prep for dinner – chop / marinade / repeat. Work a little. SHOCKER! Click. Click. Click on my computer. Turn the TV on for my child so he can wind down a bit before his nap. Call my mother and grandmother to see how they are doing and to catch up from the week. Setting my DVR to record some program that I simply will not have the energy to watch tonight. 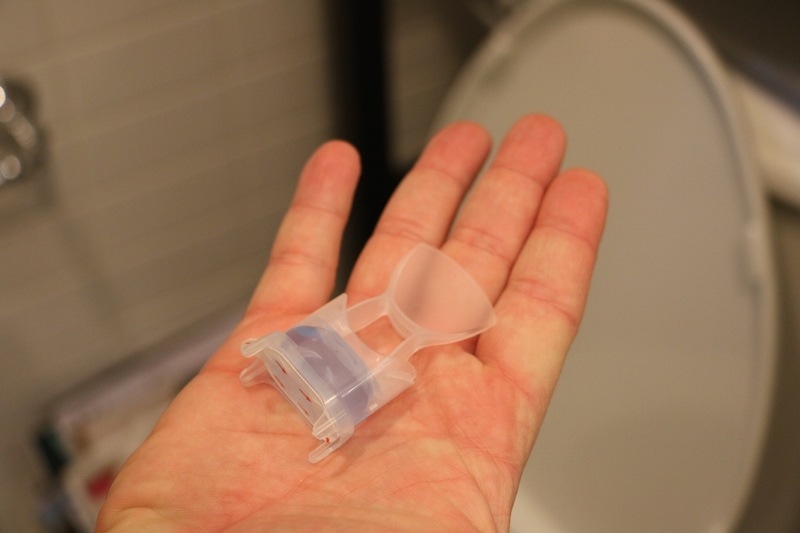 With three boys in my house… there’s one place that needs a lot of clicks… the toilet. Cleaning. Not my favorite past time. Ok – it’s the absolute WORST. Whenever I find a product on the market that makes that part of my day easy, you better believe I purchase it and test it out. I am always looking for the solution. The answer. The cheat! Everyone has things they do to help make their house run smoothly. I am a tidier. I can stack papers and organize toys like nobody’s business. But when it comes down to dusting or mopping or sweeping or scrubbing, I really don’t think it’s in my DNA. And DON’T get me started on that toilet bowl. That’s why when I heard about Lysol Click Get Automatic Toilet Bowl Cleaner, my entire insides perked up! First of all, it’s a self-sticking gel that has no cage, no nook and nothing to store. You also don’t have to take apart your toilet to make it work. That right there is a total win for me!!! 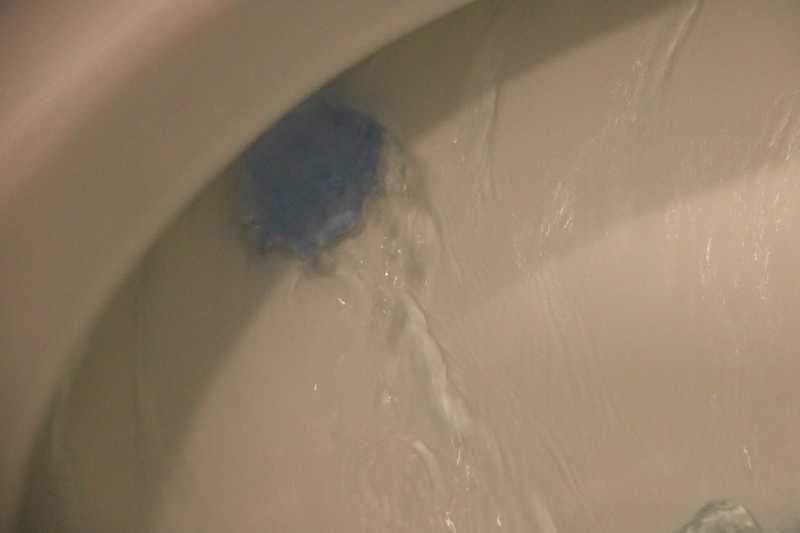 This gel goes right into the base of your toilet and the application is a breeze. To apply the gel, simply press down on the applicator until the gel sticks to the side of your bowl. 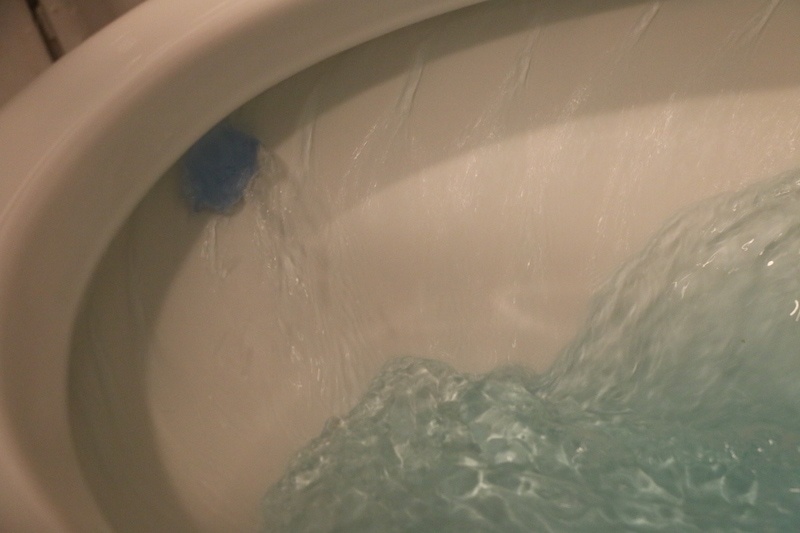 Discard the applicator and enjoy a system that continuously cleans and freshens your toilet with every flush. Boom. Each pack includes a one month supply (4 disposable applicators). Talk about one happy camper!! Having this gel in my bowl means less scrubbing for me. It’s like my birthday and Christmas rolled up into one. So, what are some of the Clicks that are part of your every day routine? Now that you know about the Lysol Click Gel Automatic Toilet Bowl Cleaner, do you think you will give this product a try? One less click to worry about once you get it set up in the beginning of the week, right? I’m all about the easy!! !